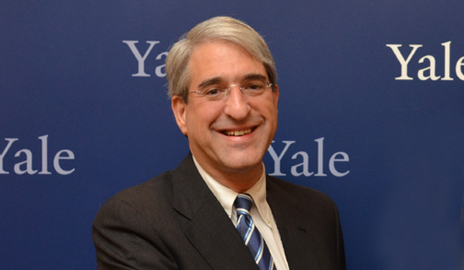 The Inauguration of Peter Salovey as Yale’s 23rd President will take place on Sunday evening, October 13, 2013. The event will be broadcast from New Haven and live streamed through the Yale YouTube Channel (http://www.youtube.com/Yale). The actual procession will start at 1:45 pm EDT (6:45 pm London time), but the live cast will be showing some background stories and interviews. The broadcast will wrap up by 3:30 EDT (8:30 pm London time). Due to a venue problem for our planned inauguration party, we unfortunately will not be hosting this event. However, we do hope you'll join in on the celebration as it will be streamed live from Mother Yale on 13 October at: www.youtube.com\yale.